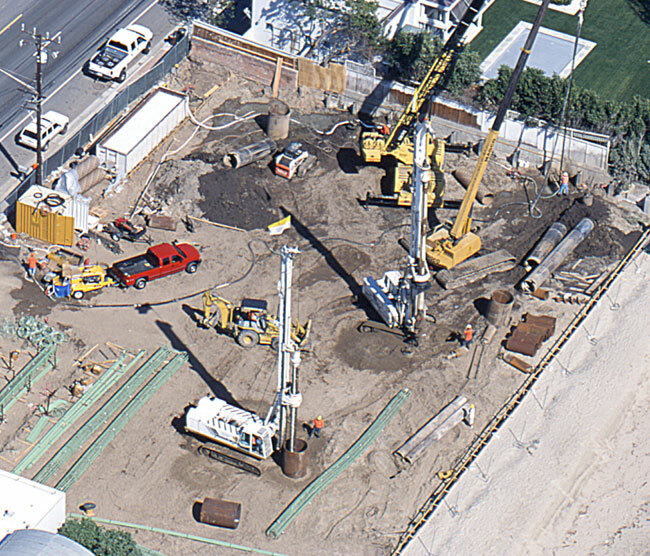 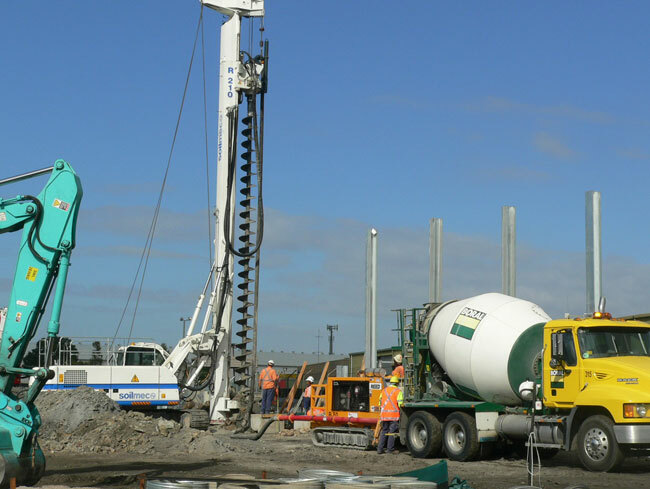 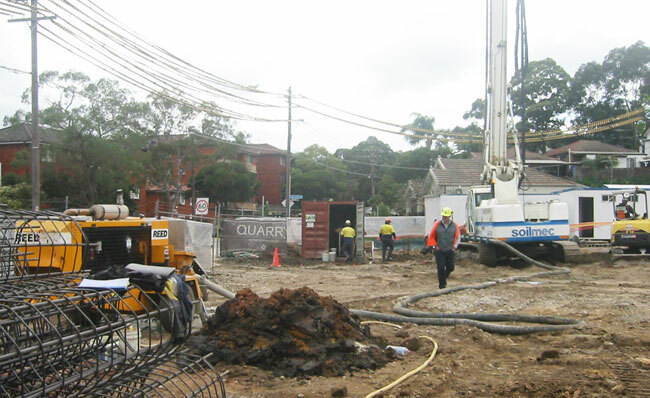 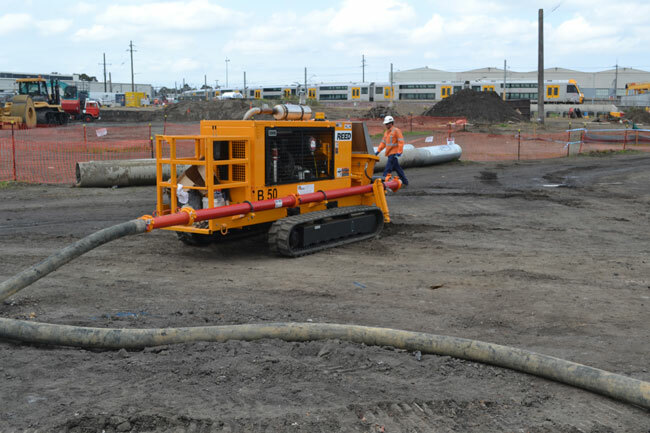 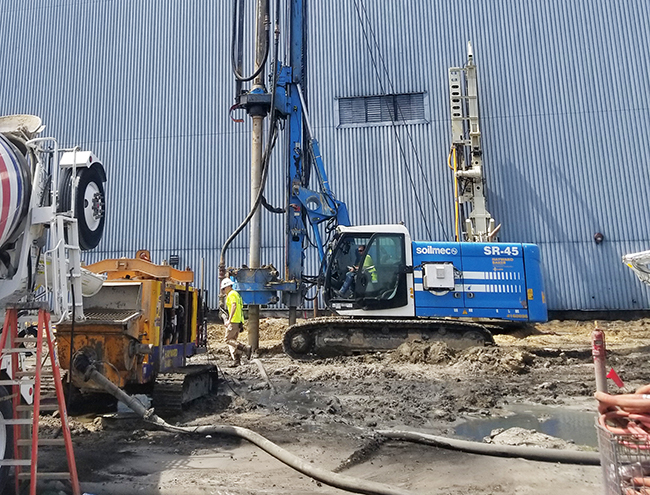 Pumping CFA Pilings (continuous flight aguer pilings). 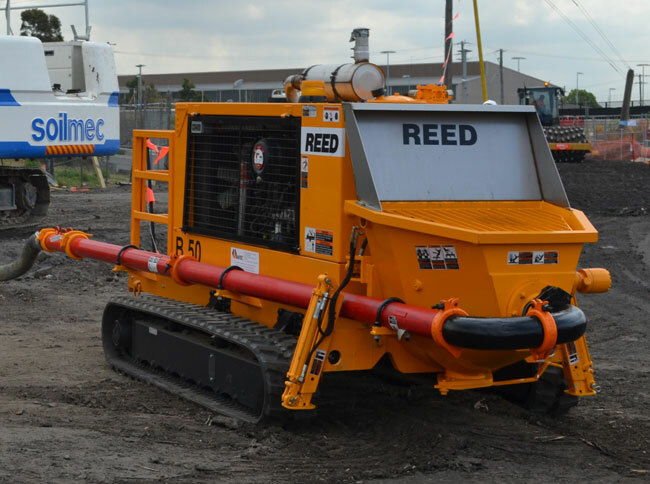 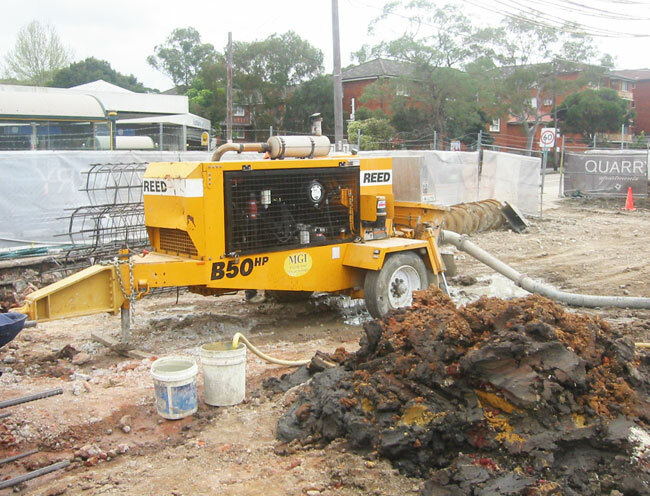 Unlike "ball-valve" style pumps, REED's S-Tube pumps can pump BOTH wet "pea-gravel" (10mm) mixes AND harsh big-rock concrete mixes (up to 38mm). 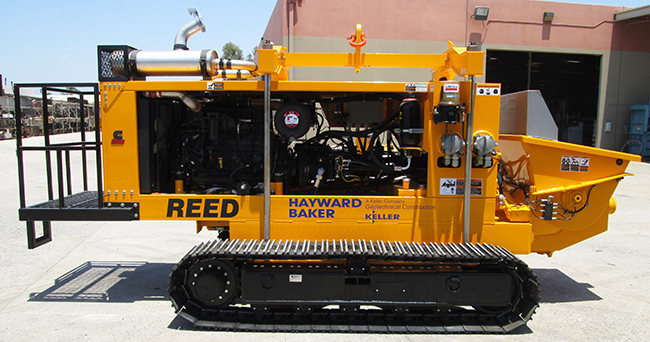 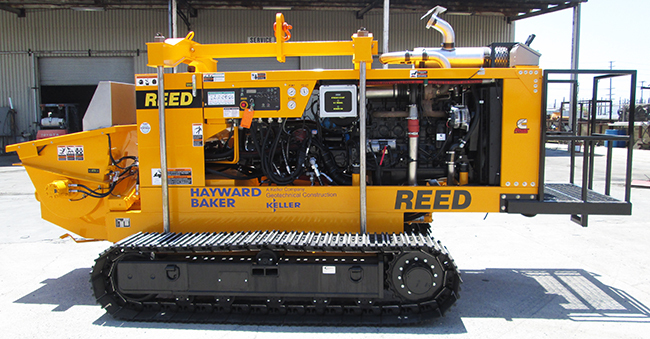 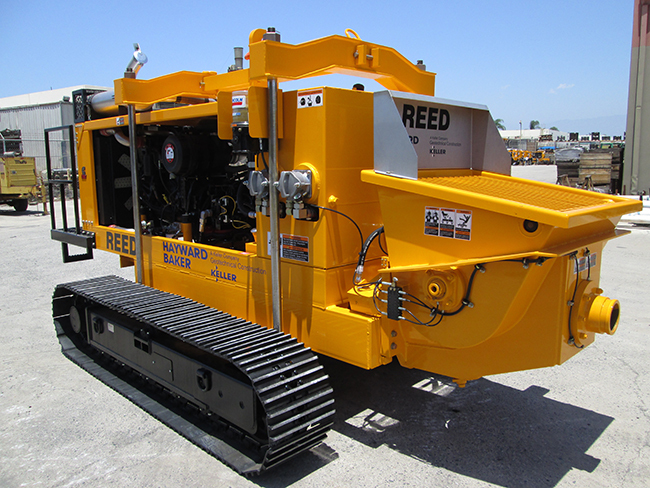 REED sells track mounted, skid mounted, or trailer mounted versions of 16 different line pump models.